Gulf Islands Waterpark is SOAK’N FUN; featuring wild rides, miles of slides and cool summer fun for all ages. You’ll love the Water Attractions and Special Events like Celebrity Meet & Greets with Stars from Nickelodeon and Disney Channel. Some of the past performances include the live bands of DreamFest, Sea Lion Shows, Frisbee Dog Shows and more. Check out the list of Special Events to see who is appearing next. Click here to view season pass benefits. 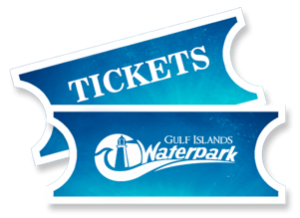 Note to our visitors: Coupons and specials at Gulf Islands Waterpark can change without notice. So please visit their official website to make sure of the latest pricing and coupons.